In a January 2017 study, the Business and Sustainable Development Commission told that investing US$12.3 trillion in achieving the SDGs in four areas – food and farming, cities, energy and materials and health and wellbeing – would create 380 million jobs by 2030. Globally, jobs in solar industries are growing at 6.8%pa compared to a 2%pa decline in jobs in the fossil fuel industry. 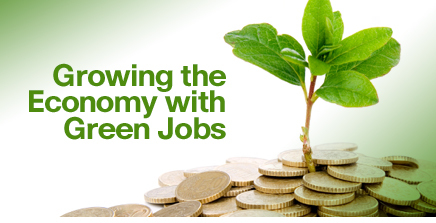 Green industry now accounts for 3.8 million jobs in the USA and, in Germany, the Green Economy now employs more people than the car industry. Given that this generation’s challenge is to transition from a brown to a green economy, governments and policymakers should focus their job creation efforts on this very promising sector. Plan International and Hand in Hand already do this (see their case studies below.) Without any prompting, YBI and IYF find that many of the business initiatives youth bring to them fall into the green economy category. Supporting citizen-led green economy initiatives such as Clean Tech Open (CTO). 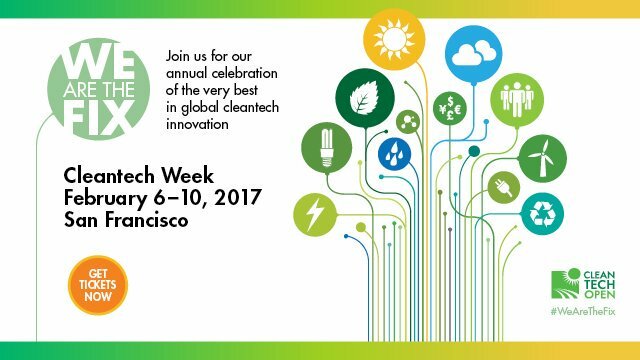 CTO has trained more than 1,200 early-stage clean technology start-up entrepreneurs in the U.S through its annual business accelerator. 70% of CTO alumni have survived, raised $1.2 billion and created more than 3,000 clean-economy jobs. The EU’s Sustainable Energy Week and the UN’s Sustainable Energy for all by 2030 project perform some of the same functions. Encouraging the inclusion of education about the green economy and the SDGs in their national education provision. Developing Green Investment Banks to support investments in green technology. 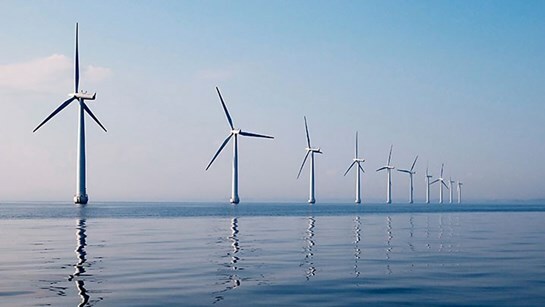 The UK’s green investment bank, started in 2012, has already mobilised £11 billion worth of investment in green energy and other green technology start-ups – £2.7 billion from government and £8.3 billion from private investment partners. In 2016, the government started the process of privatising it completely. It projects a 10% return on its investments, allowing it to market under the slogan ‘Green and Profitable’. REACH Vietnam: CO2 emissions in Vietnam are growing faster than anywhere else in the Asia-Pacific region, but existing vocational training programmes do not include environment-related content. Plan International Vietnam is co-operating with local NGO REACH For Your Future to train a labour force that is skilled and ready to grow Vietnam’s green economy in a programme called Green Skills for Urban Youth in Vietnam. It aims to introduce green skills into existing VET courses, develop green business models and scale up programmes that already include green skills training. Anyone in Mercy Njoki’s Embu, Kenya neighbourhood could spot a growing gap in the trees. But it took a special mind like Mercy’s to spot a gap in the market. Mercy didn’t lack passion. Knowledge, however, was in short supply. Already, the then-25-year-old had been forced to shutter an unsuccessful horticulture business. In a chance conversation with one of her friends, Mercy learned about Hand in Hand, an NGO that provides business and skills training to some of Kenya’s poorest young people. She signed up immediately. 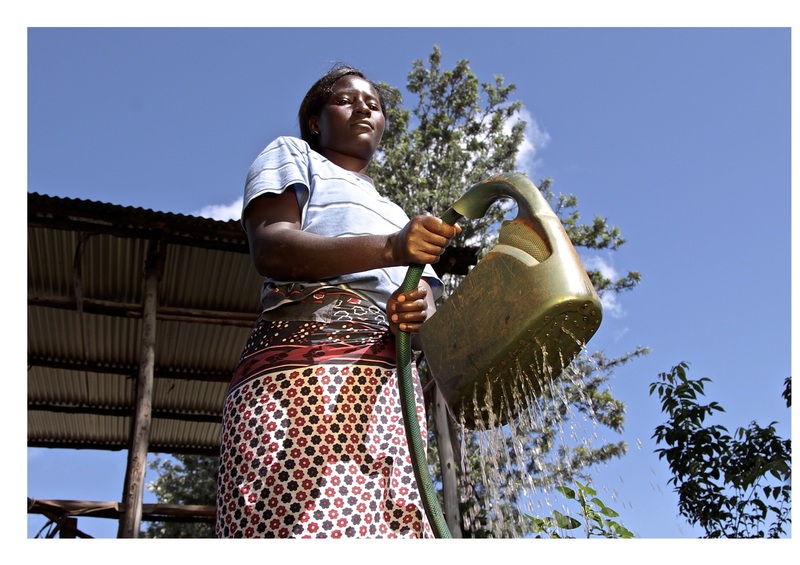 “I learnt a lot: savings, microfinance and how to run a sustainable enterprise,” she says. She also learnt how to spot – and grow – her market. Today, Mercy sells tree seedlings to an eco-conscious client base of learning institutions, churches and individual homeowners looking to start tree nurseries of their own. Once barely able to feed her family, her income has more than quadrupled from KES 2,500 (US $25) to KES 11,000 (US $110) a month. “I have bought a motorcycle for transporting seedlings to clients. I have a son in school and I pay for his school fees and provide clothing and the food we eat. In five years, I can see this business filling up an entire farm. I am happy with how I am progressing in life,” she says. Even as IT, robotics and automation shred traditional jobs, new technologies are opening up massive opportunities for decent job and livelihood creation for youth everywhere. E-lancing, netpreneurship, mobile money and mobile apps enable tens of thousands of young people to get productive work wherever they live. It is not uncommon for a small business in Chicago to get its logo designed by a young designer in the Philippines. That trend will continue and should be a target for investment. Still, many youth beg donors not to be dazzled by flashy IT projects at the expense of mainstream, hard-slog bottom-of-the-pyramid job creation. Especially in rural areas, young people struggle to get access to enough electricity to charge their mobile phone, let alone access to a laptop. Policymakers need to make digital investments alongside investments in other fields. The Rockefeller Foundation is pioneering innovative work in the field of “impact outsourcing” in its Digital Jobs Africa programme – a six-year, US$100 million programme to impact 1 million youth in Egypt, Ghana, Kenya, Morocco, Nigeria and South Africa. Using information technology, it seeks to inform youth about employment opportunities and deliver skills training to Africans living at considerable disadvantage to generate social and economic opportunities. World-class skills: Microsoft plans to develop a self-sustaining, world-class education platform, both online and offline, to help Africans develop skills for entrepreneurship and improve their employability and competitiveness. To that end, it has established the Afrika Academy, a unique way for students to learn and interact online with experts from across the African continent. Access: Provide affordable access to technology, particularly cloud services and smart devices that can and will serve as a great accelerator for African competitiveness. The 4Afrika Initiative intends to help provide affordable access to smart Windows devices, including PCs, slates and phones for young Africans. Innovation – Microsoft wants to help ignite African innovation for the continent and for the world. It is committed to working closely with African ISVs and developers to accelerate the development of highly relevant apps – by Africans, for Africa. It is investing in developers to enable them to get access to the technology, mentorship, connections, and go-to-market support they need to thrive. G20 Young Entrepreneurs’ Alliance Summit, Berlin: The G20 YEA Summit now has a focus on ‘Digital Trends for Future Business’. The =/- 500 young entrepreneurs who gather every two years in the margins of the G20 Summit focus on emerging digital trends including the Internet of Things, Big Data, Digital Platforms, Augmented Reality and Virtual Reality. The summit shines a spotlight on the fast-moving and immensely job-rich future that lies in digital technologies. The Aspen Institute defines “Opportunity Youth” as young people who are out-of-school or out- of-work but who have great potential to achieve meaningful economic opportunityif provided the right support. A new globalproject seeks to create an integrated, systems approach to generating jobs and livelihoods for such youth in specific towns and cities, in collaboration with local government, educators and business stakeholders. This initial paper summarizes the project goals and strategies, identifies some of the themes and findings that are informing the initiative design, and gives a fascinating listing of the different donors, NGOs, private sector partners and others active in this space. The concept is driven by the need for greater donor collaboration and diversification of funding mechanisms. It stresses the importance of youth voice and leadership and the need for links to a broader campaign for opportunity youth globally, potentially anchored in a Global Opportunity Youth Summit. The “North Star” youth outcome and impact goals are anchored in the 2030 UN Sustainable Development goals. The Aspen Institute, supported by The Prudential Foundationand in collaboration with other global partners, aims to implementa systems approachwhich will startwith an in-depth market analysis of youth economic opportunity from education to employment /livelihoods at the urban or peri-urban level. The starter framework is place-based and context-specific, collaborative in design and implementation, and uses a systems lensto understand the jobs and livelihoods eco-system opportunities most ripe for change. A Global Learning Community: Collaborative partnerships are on 2 levels: 1) at the local level to implement interventions for youth; 2) at the global level to share good practice, mobilize resources / investment, and recruit transnational partners, particularly in the private sector. Government champions may be necessary to spur commitments to action + connections to a global community of practice to leverage cross-community learning and network opportunities. Digital Opportunities & Future of Work: the project will identify opportunities to expand access to the best models, build knowledge about the more effective skilling, market-matching and other technology platforms while identifying gaps to be filled by new models or adapting existing models. Build on existing initiatives: though many platforms exist, there needs to be better coordination, integration and advocacy for proven solutions. 3) galvanize business and other institutional commitments to youth economic opportunity linked to the 2030 SDG goals. Global operationalstructure: a lean global team will manage the funding, build the local partnerships and convene the community of practice. The knowledge and evaluation agenda, the impact investments and the youth leadership / global summits will be managed by existing global specialist institutions. Skills matching: While supply-side approaches continue to predominate, more actors are taking up the call to better connect education to jobs to address the paradox of large numbers of youth remaining un- or under-employed while millions of jobs go unfilled. Hiring opportunityyouth: a smart investment: Inmany markets, including tight labour markets like theS., private companies need to be persuaded to look beyond their traditional talent pools and hire more ‘Opportunity Youth’ who often stay longer and are more loyalthanthe typical hire. Promote apprenticeships: Important to change mindsets in thoseparts of the world where apprenticeships are viewed as a poor alternative to traditional post-secondary schooling. Entrepreneurship: evidence from the World Bank suggests that entrepreneurship programmes in some low-income countries have short-term employment effects (Kluve et al. 2017).But most have not tracked participants long enough to establish whether their businesses survive, let alone thrive and grow. Importance of youth disaggregation & youth agency:Engaging youth in programme design and regular feedback isincreasingly valuedas a practice that both ensures youth agency in their own future and helps inform and improve programme design.